The commander of U.S. troops in the Middle East warned against the “calculated” retreat of ISIS fighters from the last territory held by the group in eastern Syria. Gen. Joseph Votel, the head of U.S. Central Command, told Congress on Thursday that the exodus of thousands of ISIS fighters and their families is not a surrender, but a decision to retreat to camps and remote areas in the region until they can reconstitute as a violent extremist organization once again. “While ISIS has been battered by the Syrian Democratic Forces and coalition forces, we should be clear in our understanding that what we are seeing now is not the surrender of ISIS as an organization but a calculated decision to preserve the safety of their families and preservation of their capabilities by taking their chances in camps for internally displaced persons, and going to ground in remote areas and waiting for the right time for a resurgence,” Votel told the House Armed Services Committee. 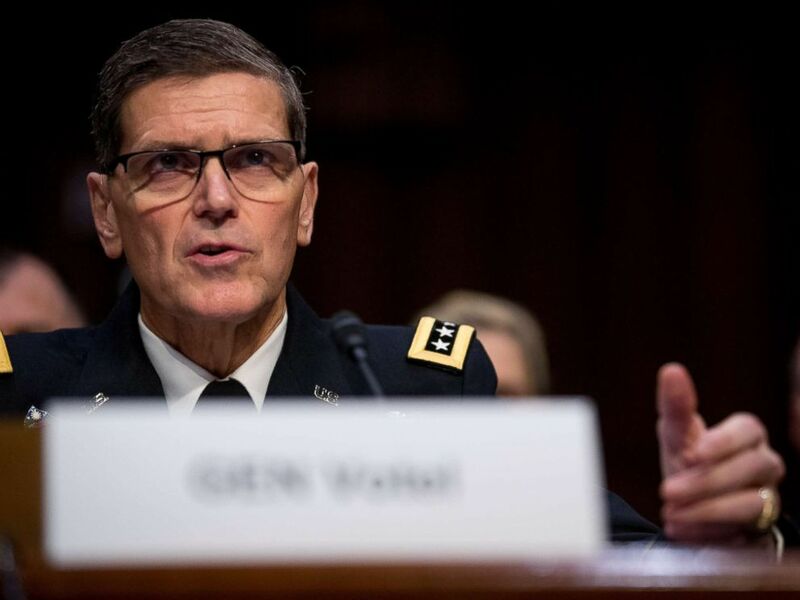 U.S. Central Command Commander Gen. Joseph Votel appears at a Senate Armed Services Committee hearing on Capitol Hill, Feb. 5, 2019. ISIS now holds “less than a single square mile” of territory in the city of Baghouz out of “an area of 34,000 square miles which they once controlled,” Votel said. Syrian Democratic Forces (SDF), backed by the U.S.-led coalition, resumed the offensive on Baghouz last Friday after they had paused for more than a week to allow an estimated 10,000 civilians and ISIS families to leave the town. A victory by the SDF could be declared as early as next week. The SDF holds over 1,000 ISIS foreign fighters, along with thousands from Iraq and Syria. The U.S. is pushing for them to be returned to their home countries, but that effort has, so far, been met with mixed success. 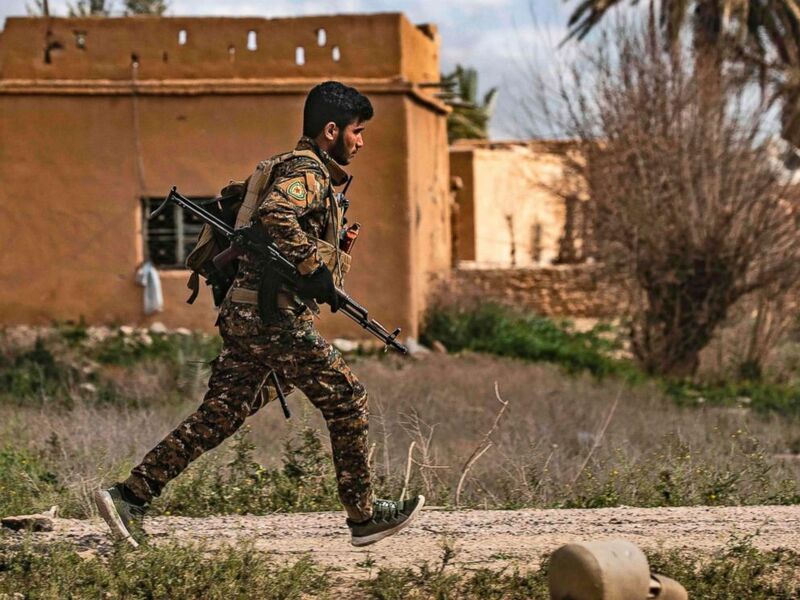 A member of the Syrian Democratic Forces (SDF) runs for cover during shelling on the Islamic State group’s last holdout of Baghouz, in the eastern Syrian Deir Ezzor province, March 3, 2019. Administration officials have said options for foreign fighters who cannot be repatriated include the U.S. detention facility at Guantanamo Bay, Cuba. In the meantime, the U.S. will proceed with the planned withdrawal of about 2,000 troops from Syria, first ordered by President Donald Trump in December. That decision was met with surprise and outrage by U.S. partner forces and members of Congress who expressed concerns about what a U.S. withdrawal would mean for the long term security and stability of the region. Last month, the general revealed he was not consulted by Trump before the president announced the Syria withdrawal. Salisbury poisoning: Former Russian spy Sergei Skripal was attacked one year ago. The Kremlin denies everything.